Senate Passes the Electoral Act No 6 (2010 Amendment) Bill 2017 into Law. 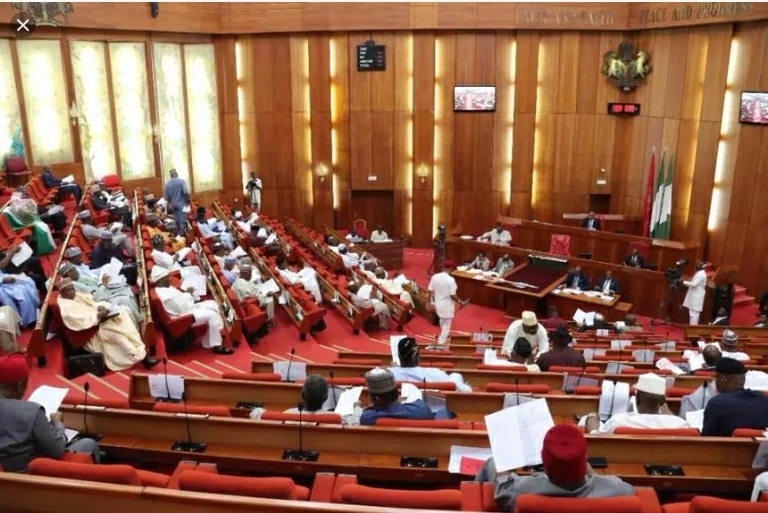 The Senate has passed the Electoral Act No. 6 (2010 Amendment) Bill 2017 into law. 1. There shall now be full biometric accreditation of voters with Smart Card Readers and/or other technological devices, as INEC may introduce for elections from time to time. 2. Presiding Officers must now instantly transmit accreditation data and results from Polling Units to various collation centers. Presiding officer who contravene this shall be imprisoned for at least 5 years (no option of fine). 3. All Presiding Officer must now first record accreditation data and polling results on INEC’s prescribed forms before transmitting them. The data/result recorded must be the same with what they transmitted. 4. INEC now has unfettered powers to conduct elections by electronic voting. 5. Besides manual registers, INEC is now mandated to keep Electronic registers of voters. 6. INEC is now mandated to publish voters’ registers on its official website(s) for public scrutiny at least 30 days before a general election and any INEC staff who is responsible for this but fails to act as prescribed shall be liable on conviction to 6 months’ imprisonment. 7. INEC is now mandated to keep a National Electronic Register of Election Results as a distinct database or repository of polling unit by polling unit results for all elections conducted by INEC. 8. Collation of election result is now mainly electronic, as transmitted unit results will help to determine final results on real time basis. 9. INEC is now mandated to record details of electoral materials – quantities, serial numbers used to conduct elections (for proper tracking). 11. Political parties’ Polling Agents are now entitled to inspect originals of electoral materials before commencement of election and any Presiding Officer who violates this provision of the law shall be imprisoned for at least1 year. disqualification criteria, measures or conditions on any Nigerian for the purpose of nomination for elective offices, except as provided in the 1999 Constitution. 14. All members of political parties are now eligible to determine the ad-hoc delegates to elect candidates of parties in indirect primaries. The capacity of party executives to unduly influence or rig party primaries has been reasonably curtailed, if not totally removed. (g) Ten Million Naira (N10,000,000) for a Presidential aspirant. 16. Relying on the powers of the National Assembly in Paragraph 11 of Part II (Concurrent Legislative List) of the Second Schedule (Legislative Powers) to the Constitution of the Federal Republic of Nigeria, 1999 (as amended), the Senate also passed measures reforming procedures regulating Local Government Elections. State Independent Electoral Commissions can no longer conduct elections that do not meet minimum standards of credibility. 17. Any INEC official who disobeys a tribunal order for inspection of electoral materials shall be imprisoned for 2 year. Previous IPOB As “Terrorist Organisation”, The Wider Implications. Next Gov. Fayose Hands Himself Over to EFCC.